CHFA East is the Canadian Health Food Association Trade show held in downtown Toronto. It is where hundreds of innovative brands bring their latest products. 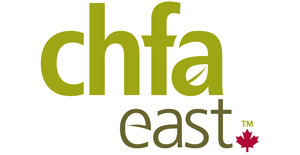 CHFA East is Canada’s largest conference and trade show for the natural health and organics industry. It’s the place to meet the industry’s top manufacturers, distributors and brokers, face-to-face. It is not open to the general public so theresalongo.com/blog Canada’s Best Blog took the time to reveal the most impressive brands we found at the show! Read on! What started as an idea to satisfy her kids’ cravings has in a handful of years grown to be one of Canada’s leading natural frozen novelty brands. Their lineup also include all natural superfood freezies. 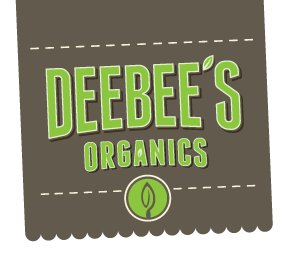 “DeeBee’s Organics aims to recreate those treats we knew and loved as kids (but now wouldn’t dare feed our own children) into clean, short label, chemical free, delicious fruit-based treats for today’s modern family.” says Deebee’s founder Dr. Dionne. Look for even more new and exciting products coming to store shelves in 2019! 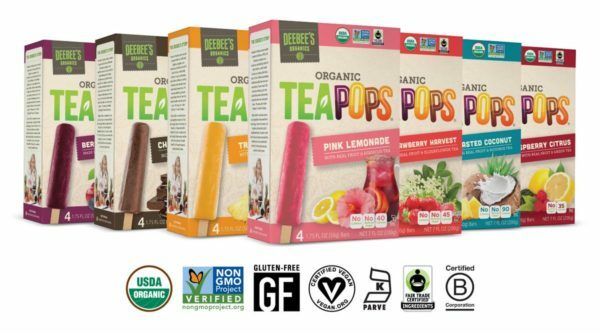 If you want to WIN a FREE box of Deebee’s pops, please share this post with your comment “Excited to try @DeeBeesOrganics!” or comment below. One winner will be chosen to win a coupon which gets you a free box! Natera is known for incredible Hemp Superfood Products. 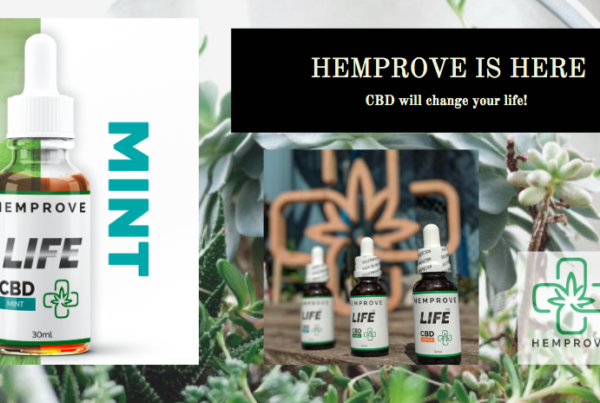 They now offer organic toasted hemp hearts, organic hemp protein powder and unique flavors of Omega-Rich protein powder made from hemp. 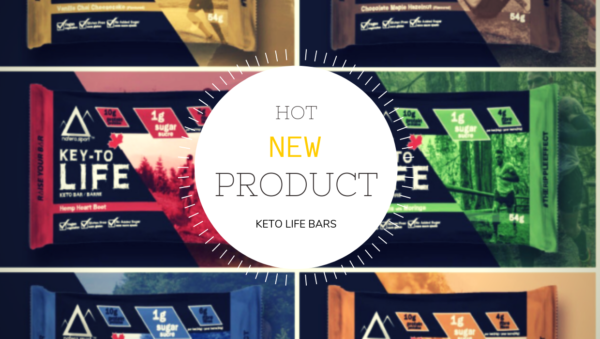 At CHFA east NATERA debuted exceptional tasting ketogenic friendly bars made with superfoods. Why wait for Natera to show up in a store near you when you can order delicious NATERA superfood products from the online store, direct to your door! 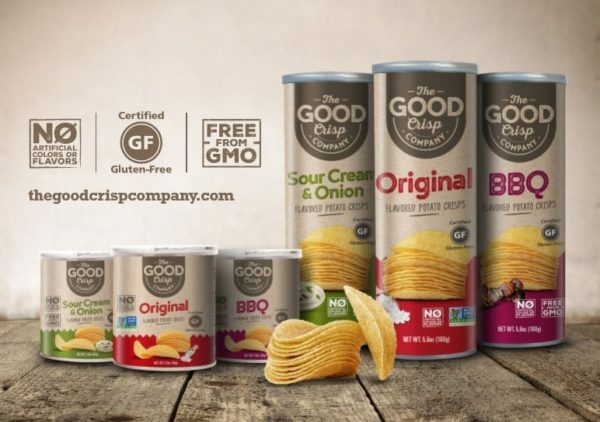 A Gluten Free Stacked Chip that has no Artificial Flavors or Colors and is Free from GMO ingredients! Follow them on Facebook and Instagram. This is a chip you won’t feel guilty about! You may have noticed Sol Cuisine’s delicious vegan burgers on the shelves of your local grocer, but what they unveiled at the show kept me visiting their booth all day: AMAZING meatless spaghetti and meat balls along with other meatless burger varieties that made my eyes pop wide open and my mouth said “MMMM”. Sol Cuisine creates one of my ultimate favourite, savoury food products at the entire CHFA show. Their entrees range from vegan burgers to meatless meatballs and more. I am totally in vegan HEAVEN! 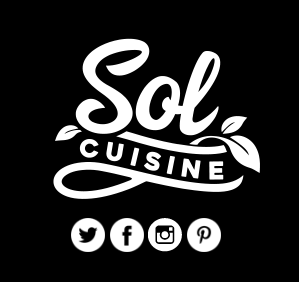 Like SOL Cuisine on Facebook for sure! Gardner’s Dream products stand out at the CHFA East. Gardener’s Dream by Aroma Crystal Therapy was founded in 1989 by Jane Janzen on majestic Salt Spring Island. The aromatherapy bath and body products are made with LOVE and 100% pure essential oils. Using herbs, earth, flower extracts and semi-precious crystals to create their products, the compositions are a harmony of leading edge energetic science, ancient herbal traditions and nature! We have written about vegan-friendly Gardener’s Dream many times! 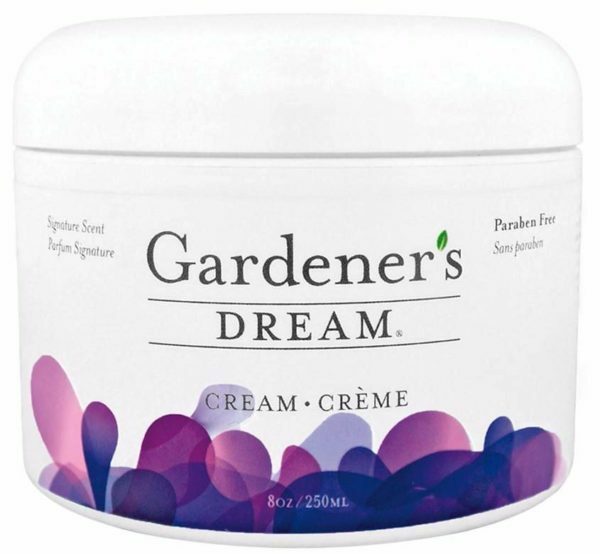 Gardener’s Dream only use 100% non-toxic, environmentally friendly ingredients with a focus on Vibrational Therapy which helps purify and enrich the experience of the products. Gardener’s Dream, by Aroma Crystal Therapy, offers an award winning line of rejuvenating skin care products which are formulated to achieve results in vibrational healing and beauty. Tested on Friends and Family… and never on Animals! Pure Bone broth is an exceptional product for health. Collagen rich and nourishing, Pure Bone Broth also contains high protein. 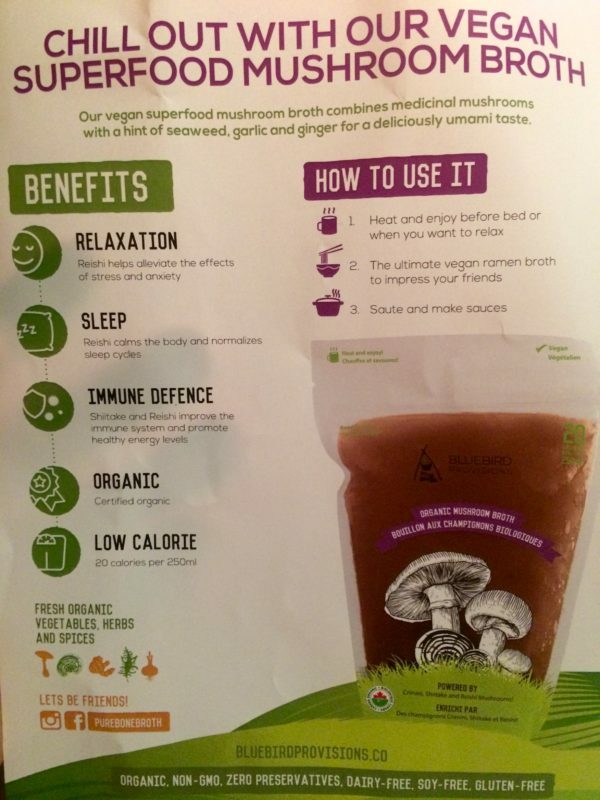 I practice veganism and PURE Bone Broth offers a brand new innovation I have not yet seen in the bone-broth market: VEGAN mushroom BROTH. It tastes delightful and it is so rich. It would be perfect as a soup base or on it’s own. The health benefits are numerous, including improvement of joint health and boosting immunity. During a 3-day juice cleanse earlier this year I was enlightened to the benefits of bone broth. I did try the chicken based bone broth at CHFA and seriously loved it. Not all bone broths are created equal. The quality of bones has the greatest effect on the quality of a ready-to-drink broth. 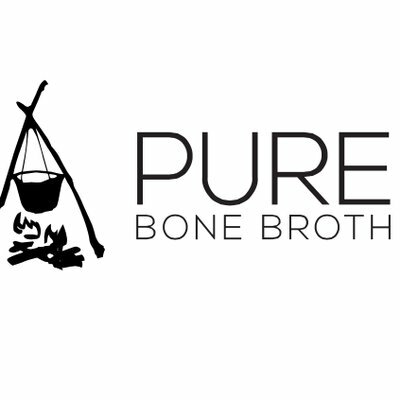 Pure Bone Broth was one of the tastiest things I tried at the CHFA show. I am happy to know that it is all massively ethical. The broth is frozen immediately with no preservatives. Gogo Quinoa gave me the most exceptional authentic cauliflower-quinoa fusilli pasta which is gluten free, vegan and delicious. I made a vegan Alfredo sauce and could not believe how satisfying and filling it is. 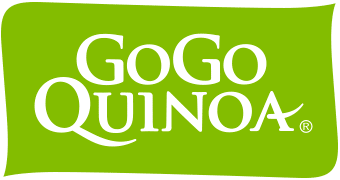 GoGo Quinoa pasta engineers set out to make the best possible wheat pasta alternative, they took the four main qualities or attributes which are usually associated with conventional wheat pasta into account when developing a line of quinoa pasta. Look for the logo in stores and you know you’ve found an unprecedented healthy product! GoGo Quinoa Pasta is Neutral and Still Contains an Amazing Minimum of 21% Quinoa Flour Compared to Only 5% Offered by Other Brands. 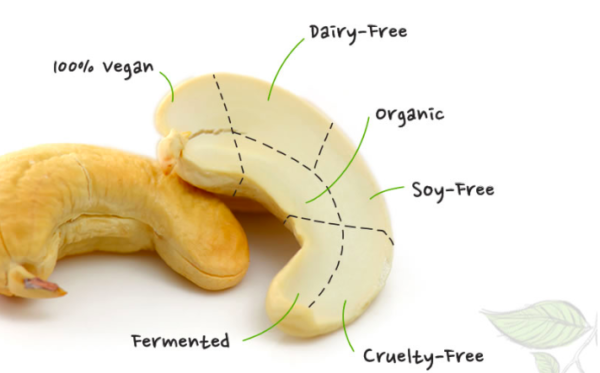 Nuts for Cheese products are individually hand crafted, made from fermented cashews to provide cheese lovers with a healthy, vegan alternative. Nuts for Cheese products are very versatile and can be used in many delicious recipes! 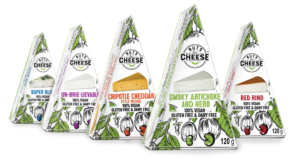 Each of their delectable samples tasted EXACTLY like REAL cheese, only it’s vegan and made from cashews! For a practicing vegan, this product was one of the most exciting products to try at CHFA East. It really resembles soft, buttery cheese. Follow NutsForCheese on Facebook to stay connected! 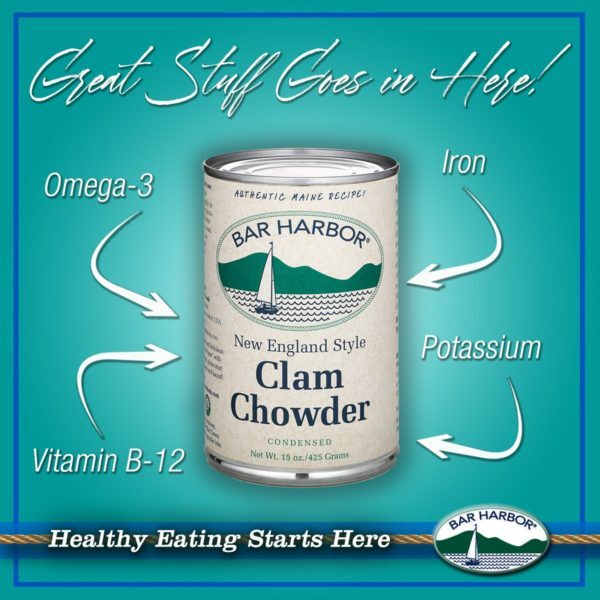 This New England style Clam Chowder is created in small batches like the people on the Maine coast have been doing for generations. Loaded with the delicious flavor of fresh clams and simple, all-natural ingredients. It’s as close to fresh off the docks of Maine as you can get without being there. I did try some while at the show, and LOVED IT. It was actually all thanks to Vaughan-based company Husky Food Imports that I had a chance to try this product. They are also the amazing people who supply Ritter Sport Chocolate, and other fine foods you’ll find at stores near you. Check out the list of food products they currently bring to the table here! Beanitos chips have always been my favorite. Made with beans, there is 8g of protein per serving. They are super high in fibre. But the best part: THE TASTE! They are so crunchy and good. Look for them in stores and this will be your new go-to snack. Beans are often overlooked, but incredibly nutritious superfood — BEANS — and Beanitos figured out how to unlock their natural goodness AND deliver great taste and crunch at the same time. 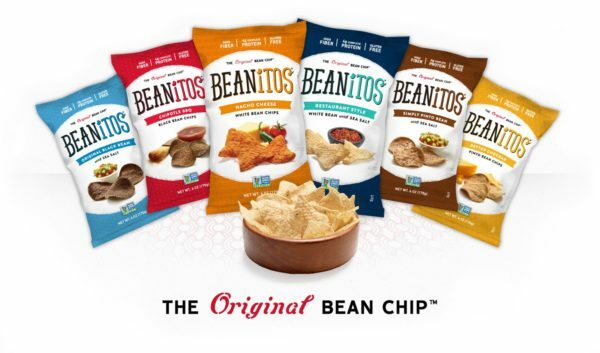 Committed to purposeful snacking and ridding shelves of mindless, empty calories, Beanitos is making wholesome snacking easy and delicious with a complete line of bean-based snack flavors. 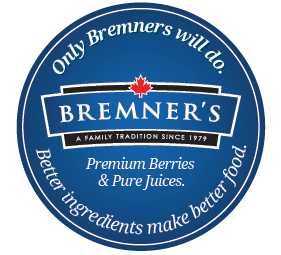 Last but certainly not least look for the Bremner’s label and you know you’ve found a premium Canadian company with tasty products. 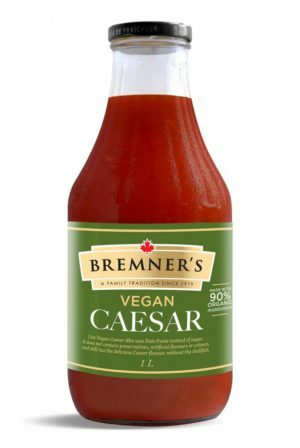 I had the pleasure of trying their vegan ceasar mix (non-alcoholic of course) and it was OUT OF THIS WORLD! I instantly want more. I will definitely try to find this in stores. The Bremner family has been farming since the 1950s, when Stan Bremner began by harvesting potatoes in Delta. In 1980, with the help of his wife, Caroline, and four sons, he planted his first blueberries on their East Delta farm. Bremner’s Bottles their own juice! Bremner’s has a bottling line up and run to ensure quality products every time, and they are proud to do their part for the environment by reducing their carbon footprint! The bottle facility at the farm is Certified Organic by FVOPA and registered with CFIA. 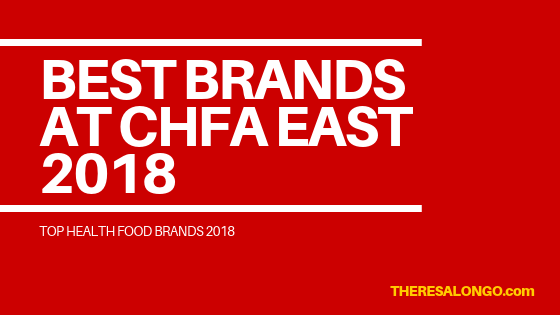 Thanks for checking out the best brands at CHFA. See the awesome brands who made the list in previous years! For several years I champion the benefits of Natera Superfood Products. Those who know me, know that in real life I eat hemp and stay super healthy. 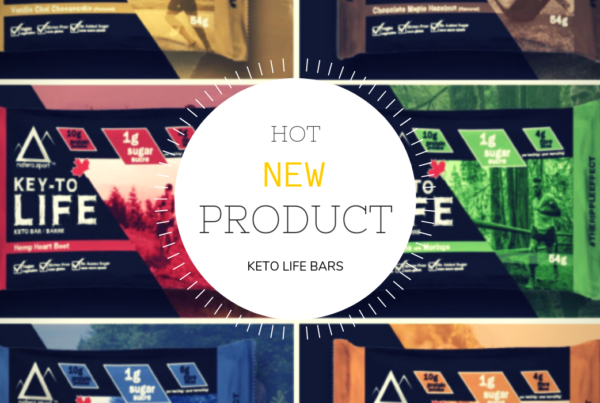 Recently Natera unveiled a brand new product to the market: bars combining organic toasted hemp seeds, organic hemp protein and HempOmega™ 3-6-9. See why they are SO amazing….